Bubsy: Paws on Fire! may be the boost the bobcat needs. Developed by Runner3's Choice Provision, the people behind Bit.Trip, Bubsy: Paws on Fire! will launch this May. 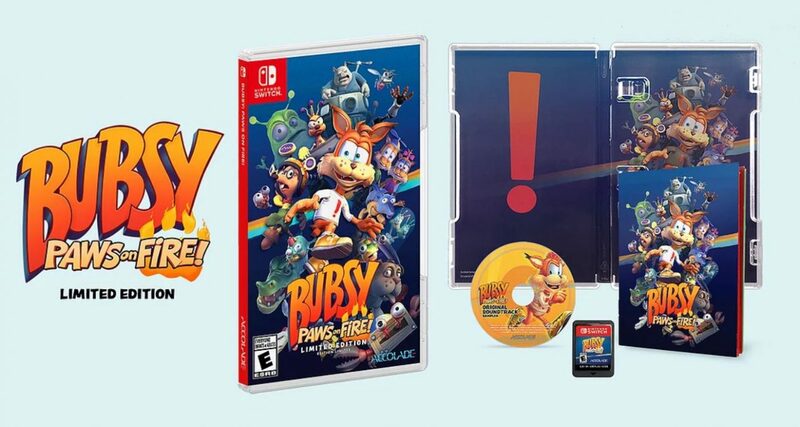 Bubsy: Paws on Fire! will follow the same formula, with Bubsy and his friend running through various environments. All while avoiding obstacles and maximizing score. Bubsy: Paws on Fire! is now available for pre-order and will have a limited physical release. Bubsy: Paws on Fire! Limited Edition will include the base game, CD sampler, and player's guide. The Nintendo Switch limited edition will include a reversible cover. Bubsy: Paws on Fire! will now release for PC, PS4, and Nintendo Switch on May 16.